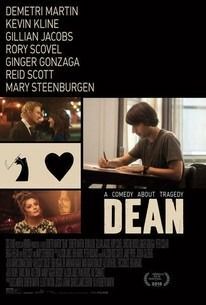 Dean (Demetri Martin) lives in Brooklyn and has recently lost his mother. His father Robert (Kevin Kline) is an engineer who lives in the suburbs and is having difficulty adjusting to a life alone. Dean's ex-fiancée Michelle (Christine Woods) attempts to give back the engagement ring, as Dean has "un-proposed." Dean refuses, suggesting she put it on a charm bracelet. Read more on Wikipedia.